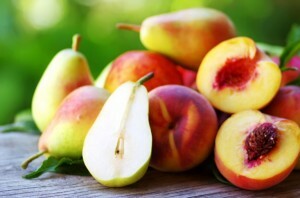 The entire Ontario region is known throughout Canada and North America as an area that excels in producing fruit and vegetables of a wide variety, but it’s the area’s tender fruit production that keeps Canada in everything from peaches and pears to cherries and plums during the summer and autumn months. And with orchards and farms scattered all over the countryside, Ontario’s bounty is almost always exceptional. While central to the stellar fruit-growing reputation of Ontario, the Niagara region doesn’t always receive as much attention for its fruit-growing prowess by the millions who visit the area every year. Tourists are often too busy enjoying the many wineries and the stunning waterfalls to marvel over the wealth of fresh and delicious fruit available during the growing season. However, to really experience Niagara, it’s essential to bite into some of its ripest seasonal offerings during a visit. If you’re headed to the Niagara region anytime in the next couple of months, the tender fruit will be ready for you. Here are four reasons to include some time for fruit on your Niagara vacation’s itinerary. 1. There’s So Much of It! 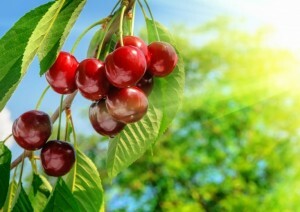 Ontario enjoys its reputation as a powerhouse of agricultural productivity, but when it comes to tender fruits — peaches, plums, pears, sweet cherries, sour cherries, apricots, strawberries, prunes of all colors, and raspberries — over 90 percent of what is grown in Ontario is actually grown just on the Niagara Peninsula. The same rich soil, mild climate, excellent drainage, and abundant water that allows for the region’s robust grape production also contributes to the abundance and quality of everything grown in the area, but the fruit crop is particularly superb. Driving around the Niagara Peninsula is one of the best ways to spend an afternoon, and it’s not just because the grape vineyards are so lovely. Interspersed throughout the region are the scores of farms and orchards that keep Canada in fruit, and the meticulous care the trees and bushes are given helps account for why the area is so postcard perfect and picturesque. Don’t just get a photo at the Falls when you visit Niagara, be sure to snap a few along the roadside in front of a field of cherry trees or pear trees, too. Fresh fruit picked the morning you sink your teeth into it is a delight unrivalled during the summer months, and in Niagara, it’s a welcome rite of passage for locals and visitors in the know each and every year. The roadside stands dotted along the Niagara Parkway are a great introduction to Niagara’s freshest fruit, and you can also usually buy jams and pies at them as well. Head to Niagara for a world-class vacation, and while you’re there, be sure to eat the fruit.